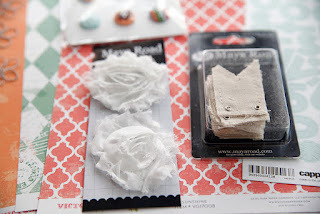 Just to give you all a heads up - there may be a lack of posting and/or crafty goodness on my blog for a few days. We moved over the weekend and we're still in the process of unpacking everything. My scrapbooking stuff is still in boxes. I need time to set up my little crafty corner. Hopefully I'll be back to scrapping soon! 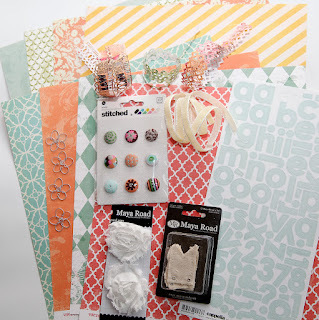 Check out this beautiful kit from Peace, Love, & Scrapbooking. 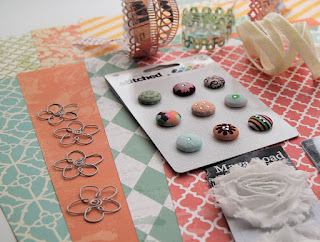 You could WIN this beautiful kit just by playing along with Color Me Scrappy! Go check out challenge #1 and submit those beautiful layouts! Hope you had a good move over the weekend-- and thanks for the heads up on the Color Me Scrappy Challenge! Looks like fun! Thanks for the heads up on the Challenge. Good luck on getting organized. I. Hate. Moving. LOL!! Oh I really love this goodies bag! I have a question for you, since I want to win this bag so bad haha. I recently did a layout that has all these colors, and I already blogged about it. Is that layout still eligible for the entry if I add some verbiage about color me scrappy in that post? Or do I have to create a brand new layout and a brand new post for this? Hey Busy! I don't see why not. :) I've checked the CMS rules and don't see anything against it. As long as you give CMS credit and let everyone know you are playing along with us, you should be able to use the layout you already have. Just keep in mind that entries are required to have ALL of the colors listed on the pallet. :) They don't have to be exact but they do all have to be there! Have fun! I also wanted to inform you that I gave you the Liebster Award! Congrats! I love the colors in this picture! Might have to work on something this weekend!